Sir Bevil Grenville | Cornwall For Ever! Sir Bevil Grenville was a leader of Cornish soldiers in the Civil War. He was a brave man and his Cornish troops liked him very much. He died after leading his soldiers at the Battle of Lansdowne in 1643. 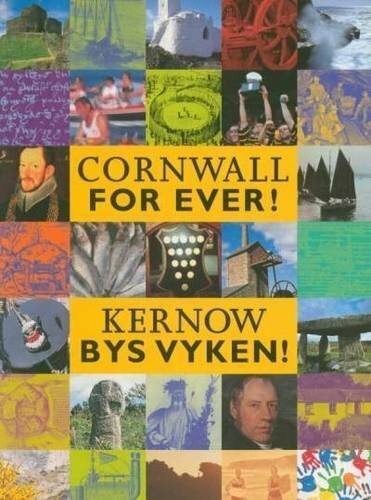 Syrr Bevil Grenville o hembrenkyas soudoryon gernewek y’n Vresel Civil. Den kolonnek o ev ha’y goskor gernewek a’n kara yn feur. Ev a verwis wosa ledya y soudoryon y’n Vatel a Lansdowne yn 1643. The Grenville family had lived at Stow near Kilkhampton in north Cornwall for hundreds of years. Sir Bevil had famous ancestors including Sir Richard Grenville, who had fought the Spanish and built quays at Bude, Boscastle and Tintagel. Sir Bevil had been a Member of Parliament for Cornwall during the 1620s. He did not always agree with the way that King Charles I ruled the country. But when the Civil War started in 1642, he chose to join the Royalist army supporting the king. People who were against King Charles joined the Parliamentarian army. Sir Bevil was a Colonel in the Cornish Royalist army. Many of his officers and soldiers lived in north Cornwall, including the ‘Cornish Giant’ Anthony Payne of Stratton, who was over two metres tall. On the 19th January 1643, Sir Bevil and his Cornish soldiers won their first battle against the Parliamentarian army. The battle was fought at Braddock Down near Liskeard. Sir Bevil’s next victory was at the Battle of Stratton in north Cornwall on 16th May 1643. At Stratton, Sir Bevil led his hungry and tired troops in a successful charge against the Parliamentarian army. The victory at Stratton pushed the Parliamentarian army out of Cornwall. In the summer of 1643, the Cornish Royalist army crossed the Tamar and fought the Parliamentarian army at Lansdowne, near Bath in Somerset. Sir Bevil bravely led his Cornish soldiers up a steep hill against the Parliamentarian army. During this attack, many Cornish soldiers were killed and Sir Bevil was badly injured. The next day, he died from his injuries. The Cornish soldiers were very upset that Sir Bevil had died. He had inspired them by leading from the front. His brother Sir Richard Grenville would later take charge of the Cornish Royalist army. During the Civil War, Sir Bevil had a bodyguard called Anthony Payne. Anthony lived in Stratton in north Cornwall, in a building which is now a pub called The Tree Inn. Anthony was over two metres tall and very strong. He must have terrified the Parliamentarian soldiers! Anthony survived the Civil War and was given an important military job at Plymouth. There is a large painting of him wearing his red uniform in the Royal Cornwall Museum in Truro. Anthony returned to Stratton and died at The Tree Inn. His body was so big that it couldn’t be taken down the stairs. Instead, a hole had to be cut in the floor! Anthony was buried at the parish church in Stratton in 1691.